Sometime back one of our readers submitted this Index on the Srimad-Bhagavatam, and asked if I could post it. It is truly a very impressive piece of work, and represents a great deal of time and study. We applaud the effort that Jan has put into this Index, and with great pleasure we post it here, in the hopes that others can benefit. This was written to help me find, understand and remember the massive truth found in the Srimad-Bhagavatam. Every abbrieviated, shortened, misused, form of the Supreme Personality of Godhead’s name, fame, and pastimes is just in attempt to cram the Srimad-Bhagavatam into this being that I am. 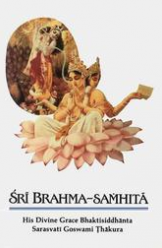 I hope that this will be of great help to others who are studying the Srimad-Bhagavatam. I offer this handful of rice to the Lord. This file is so large we will have to post it in parts. This is the conculsion of index. Many thanks to to Jan Alexander for her devoted efforts. Vidura, disciple of Maitreya 2-intro. 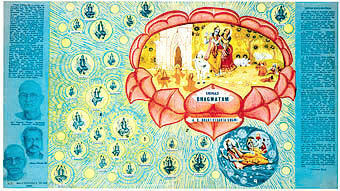 Visnu Tattva= an unlimited expansion of different transcendental forms of S.P.G.